The availability of three professional Canon lenses that were announced in February has u2018yet to be determinedu2019, according to Canon USA. The availability of three professional Canon lenses that were announced in February has ?yet to be determined?, according to Canon USA. In a statement outlining ?updates? 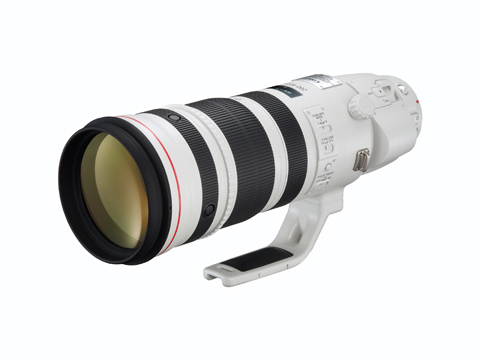 on the launch dates, Canon did not indicate when the following lenses will go on sale: the revamped EF 500mm f/4L IS II USM and EF 600mm f/4L IS II USM; and the new EF 200-400mm f/4L IS USM Extender 1.4x. The lenses were announced at the CP+ imaging show in Yokohama, Japan on 9 February. Amateur Photographer understands that the floods in Thailand are not the cause of the delays. The revamped 500mm and 600mm super-telephoto lenses, which were due to arrive in ?mid-2011?, are said to be significantly lighter than the previous versions. The 500mm will cost £8,999, while the 600mm will carry a £11,299 pricetag, according to Canon UK in a statement released earlier this year. Meanwhile, the EF 200-400mm f/4L IS USM Extender 1.4x is designed to deliver an increased focal length of ‘280-560mm’. The Extender was unveiled as a Canon development, and no launch date had originally been given. A spokesperson for Canon UK said the firm had nothing further to add.